Estate: Founded in 1812 by André Michel Pierlot, Laurent-Perrier is famously located at the center of 3 renowned Champagne vineyards: the Montagne de Reims, the Vallée de la Marne and the Côte des Blancs. André Michel Pierlot was succeeded by his son who did not have any children. He left the estate to his cellar master, Eugène Laurent. Mathilde Emilie Perrier, Eugène Laurent’s widow, created the name Laurent-Perrier when she took over and expanded the business upon Eugène’s death. Her daughter was forced to sell the estate due to the economic crises of the Wars; it was purchased by to Marie-Louise Lanson de Nonancourt in 1939. Bernard de Nonancourt, her son, dedicated his life to the estate, transforming the small Champagne house into the acclaimed global brand it is today. After his death in 2010, his daughters, Alexandra Pereyre de Nonancourt and Stéphanie Meneux de Nonancourt continue on in his footsteps. Winemaking: “One of the few rosés still made by the saignée method. 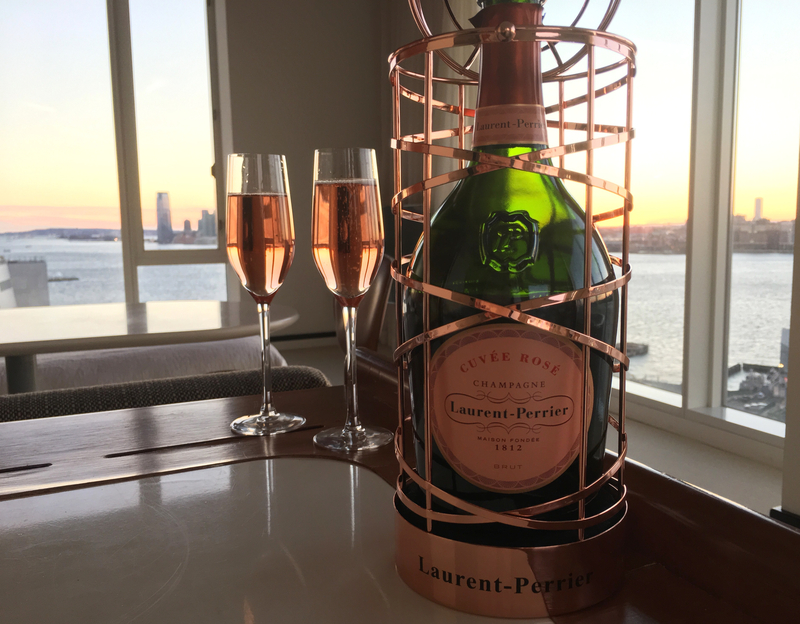 Held in an elegant bottle inspired by King Henri IV, it has been widely acknowledged for its consistent high quality for more that 40 years.” It is known as the most iconic rosé Champagne in the world. Tasting Notes: Coral-pink in colour with aromas of fresh berries, honey on toast and clean minerals. Densely packed, fine bubbles buoy raspberry, strawberry and rose petal notes, whilst a chalky minerality highlights the dry, crisp finish. Fantastically effortless to drink, you will savour each elegant and well-balanced dry, fruity fizzy sip.